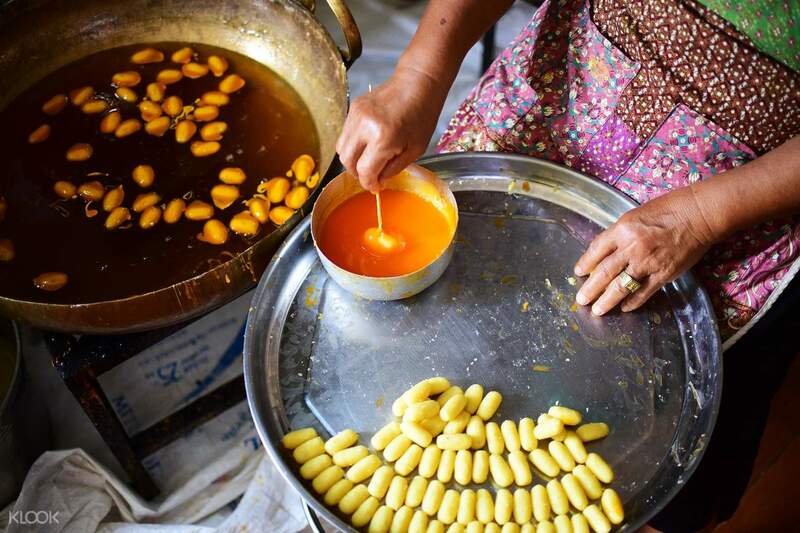 Visit the festive Ayutthaya Market and get to try authentic delicacies made by the locals! 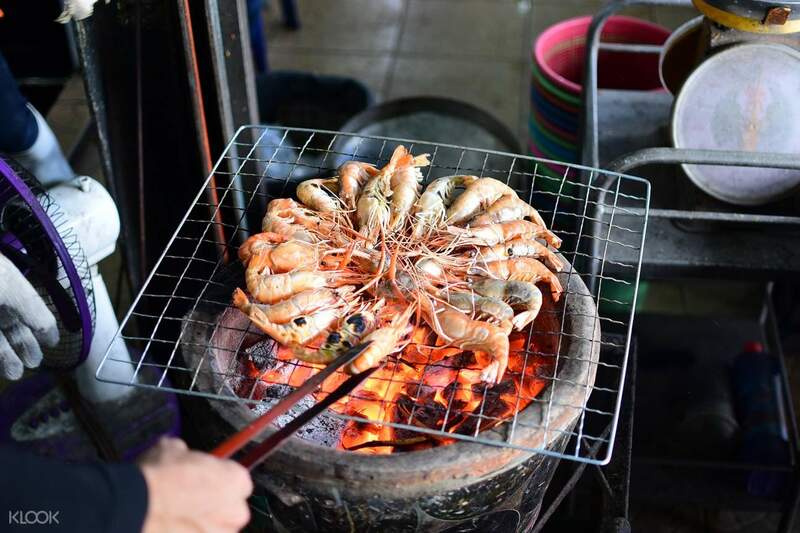 Taste Thailand's famous giant river prawns straight from the Giant Prawns Market! Escape the bustling streets of Bangkok and head to Ayutthaya for a gastronomic and cultural adventure! 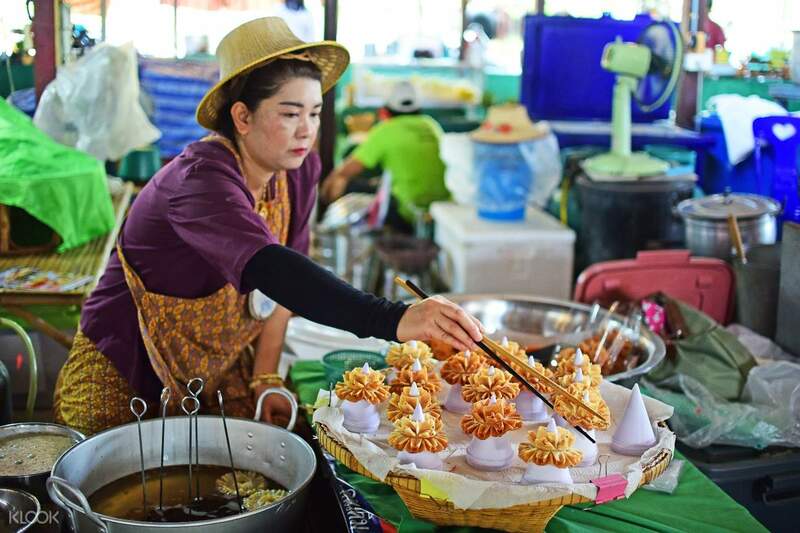 Join in on the musical feast at the Ayutthaya Market, a place where you can try beloved delicacies like the Royal Snack, freshly made by the locals. Dance and sing with the lively crowd as the drumbeat intensifies to the tune of Thai music. After a morning of entertainment, make your way to the Giant Prawns Market - a famous seafood wet market. 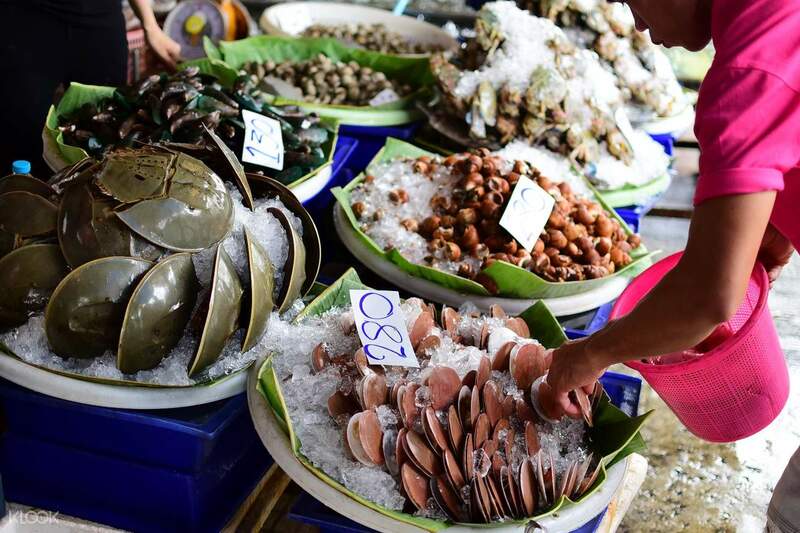 While there, try succulent seafood for lunch fresh from the port. Try a serving of juicy giant prawns, a delicious world-class export. Finish off your meal with Thong ek, a local delicacy that symbolizes good wishes and blessings. Learn how to make one under the guidance of an expert and give some to friends back home. 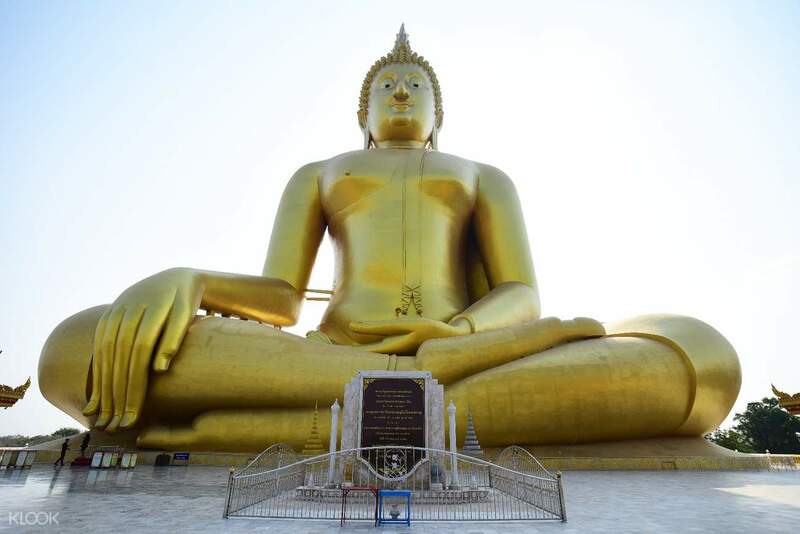 Once done, your tour will take you to the Wat Muang Temple, home of the biggest sat buddha statue in Thailand. Touch its finger tips and whisper your wishes in a prayer to Buddha. 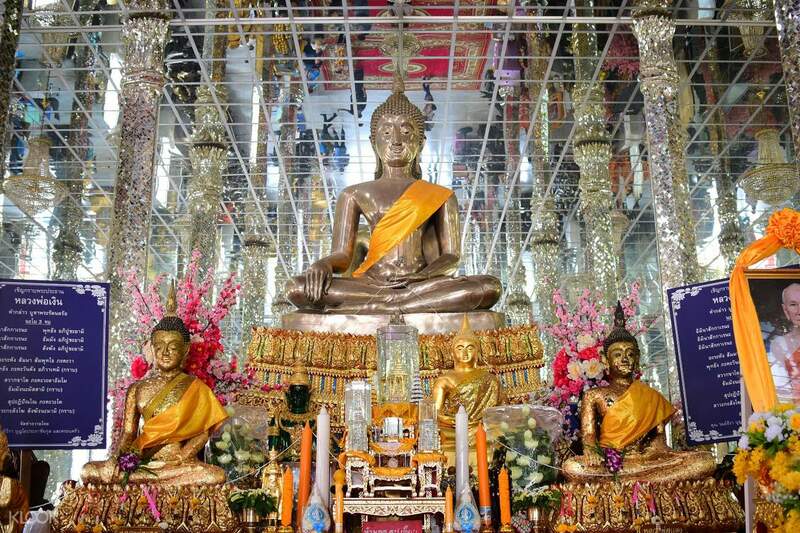 Discover more of the country's Buddhist culture with a final trip to the Crystal Temple. End your amazing experience with a comfortable and convenient ride back to Bangkok. Visit a local market in Ayutthaya and try local favorites or buy souvenirs for friends back home! See the majestic Great Buddha of Thailand and be amazed by its gigantic size!